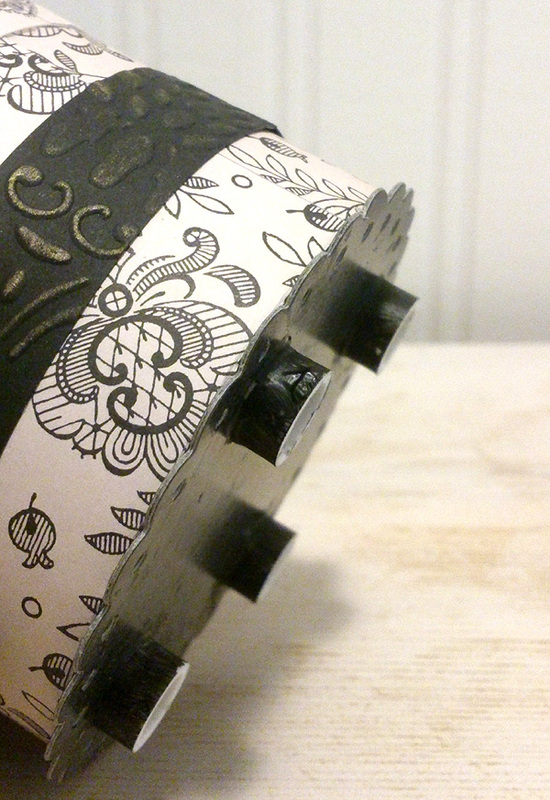 I had fun making this sturdy little gift box from recycled items I had around the house. 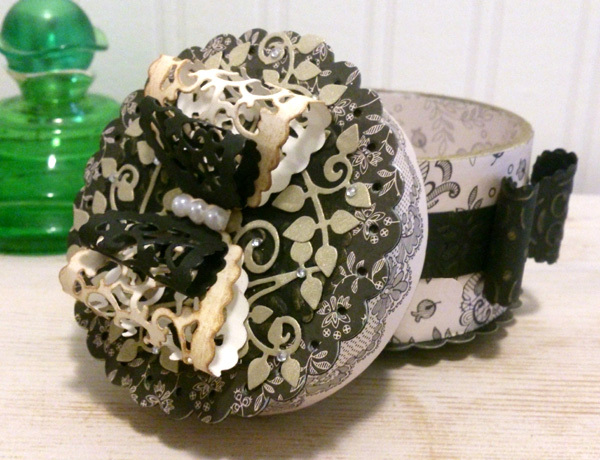 I was excitedly waiting for the lovely new small lacy bow die set as I knew these would finish it off perfectly. I've also used the new Victoria embossing folder, arboreal dream dieset, and the top and bottom of my box are cut with one of the dies from the threaded scallop circle layering die set. I'm wrapped around these circles, and I clean between the gaps. 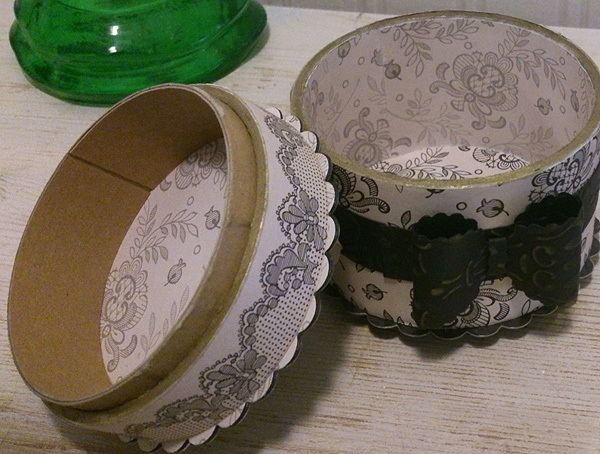 I'll let you know that the card I used for the inner rim of the box was from Amazon book packaging. 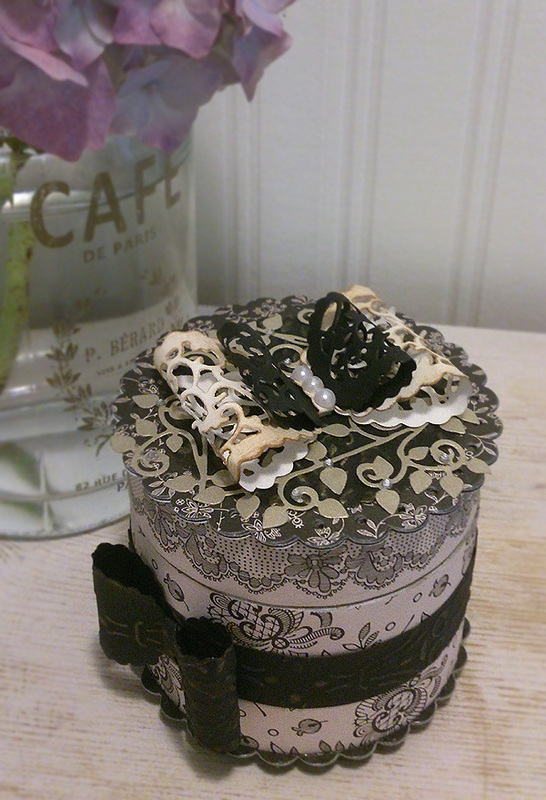 All I added were some pretty papers, a few jewels, some Tonic Funky glue (who could do without that !) and of course, fabulous Tonic Dies. I wonder if any of you will guess right !